Old Testament - Today we read about the Ark of the Covenant being brought into the Temple! 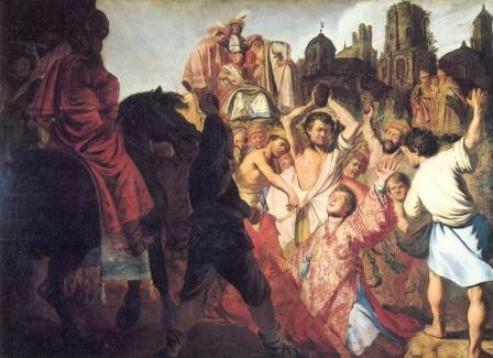 Bible.org's commentary on today's readings in Acts titled "The Stoning of Stephen" is at this link. Psalms - Psalm 129 is a prayer for the continuing withering of Israel's enemies and verse 4 likely represents a celebration from Babylonian captivity - "But the LORD is good; he has cut the cords used by the ungodly to bind me." How about in our lives today? Has Jesus cut any cords used by the ungodly to bind you? Are there still some cords being used by the ungodly to bind you? Will you let Jesus cut those cords? Will you let Jesus free you from that captivity? Do you believe that Jesus is good and that he wants to cut the cords that bind you? 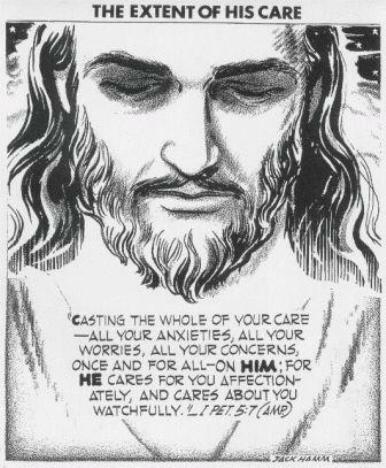 Do you believe that Jesus cares for you? Proverbs - Proverbs 17 verse 1 is so very wise... "A dry crust eaten in peace is better than a great feast with strife." I don't know about you, but this Proverb hits home. I have eaten very simple meals in peace that have been so beautiful. And I have also eaten at great feasts filled with drama and angst and strife. The world may preach to us that the latter is better - the feast with all it's drama. But, I think the still small quiet voice of God through the Bible indicates the former is better. Which do you think is better? The peaceful crust or the strifeful feast? Quite a difference between Gamaliel and his student Saul...while the teacher was wise enough to realise that if this "new teaching" was false it would disappear in time and adviced against killing John and Peter,Saul the student decided action was better than waiting for the teachings to die out. Yet God chose Saul not Gamaliel to take the gospel to the ends of the earth!How His ways are far higher than ours....Saul was merciless in persecuting the church,what he did he did with all he had and continued to do so when he took the gospel to the gentiles. 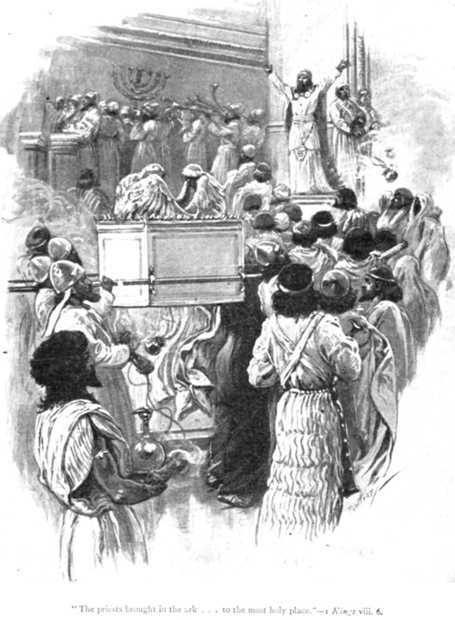 And the priests brought the ark of the covenant of the Lord to its place in the Holy of Holies of the house, under the wings of the cherubim. For the cherubim spread forth their two wings over the place of the ark, and the cherubim covered the ark and its poles. The poles were so long that the ends of them were seen from the Holy Place before the Holy of Holies, but they were not seen outside; they are there to this day. It is easy to forget that God allowed Himself to live in a Box for the sake of the people. Visited once a year by the High Priest and only allowing Himself to be “seen” by the other priests who were allowed access into the Holy Place while they did their priestly duty, but all they could see were the ends of the pole that carried the Box. Though the redemptive work of Jesus Christ on the cross, we have the privilege of having the Holy Spirit dwell within us. It is hard to fathom that the Glory of Israel, that Cloud that filled the Temple, the Shekhinah Glory of God, is accessible to us at all times because of Christ’s work on the Cross. Let me always be reminded and remember that what Jesus Christ has wrought for us is not cheap nor valueless. What Israel saw outside of them, what she saw in the desert, what she saw when the Temple was dedicated, dwells within me. The Pearl of Great Price is mine. Let me not despise it or treat it cheaply. This came up last week. Thought I would post this as it reminds us of what the cultural background of Israel was regarding father/son relationships. Even more so when dealing with an "only child" who was male. Matthew 11:27. "All things have been handed over to Me by my Father: and no one knows the Son, except the Father; nor does anyone know the Father, except the Son, and anyone to whom the Son wills to reveal Him." Obedience: The son was expected to be totally obedient to the father in all matters. (See Prov. 4:4.) In identifying Himself as God's Son, Jesus indicated that He was obliged to be in perfect obedience to the divine will. But what human could accomplish this? It would be the claim of one who was either a massive egotist, insane -- or truly divine. Learning: A son was expected to learn the father's trade, his skills, and his experience. Jesus is therefore saying that he has taken up God's work and learned what He knows directly from God. Agency: A son was expected to act as the father's agent when called upon, and would be considered to have the father's legal authority in such situations. Jesus was therefore saying that He was appointed as God's direct agent. This all implies divinity, inasmuch as the OT describes God as one who will not share His glory with another. 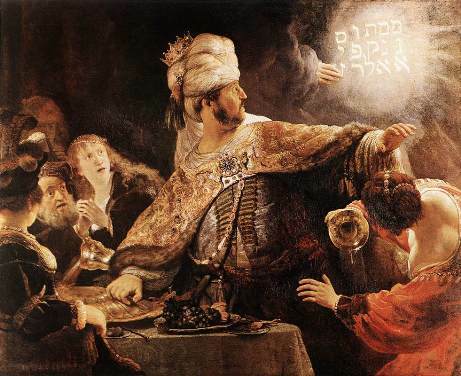 Old Testament "Type" has been discussed before on this blog. Found a good summary of parallel between Moses and Christ embedded in a John MacArthur sermon (middle section below). ...In reminding the council of these things, Stephen is absolutely indicting the nation of Israel for having rebelled against God all along: They rejected God, they rejected His servants, Joseph and Moses, and they rejected His law." disobedience to God while they were living gloriously in Paradise. But of course we know that doesn't absolve the Jews from having been blinded to the TRUTH about Jesus Christ. Excellant question. Satan, Adam and Eve, Pharoah, Judas, rejection of Christ by (most) of Israel, etc. are they not all a part of 'simply carrying out God's plan'? "Carrying out God's plan" connotes that we are all actors or worse "marionettes" being manipulated through a grand cosmic "play". I don't believe that to be the case. There is no way, I can sit here and tell you how a multi-dimensional perfect Being (God) came up with His perfect plan. I do believe He knows all things past, present, and future - and in the end all things work through His purpose to acheive His will. So before Creation started, God had a plan and knows how it all unfolds. Where God is glorified: Angels and mankind have free will and all of the above examples (in first paragraph) made choices. God did not react to those choices, but they were incorporated into His (pre-existing) plan. Decisions that looked disastorous and seemed to be "plan-busters", in the end when worked (for lack of a better word) through His plan actually end up giving better results than if they had not been made in the first place. This gives God - Glory. Ex #1: Adam and Eve. If Adam and Eve had not sinned, all indications are that they would have lived and started a race of people that would have lived in a perfect world with "man" as the caretaker. "Mankind" would have been close to and fellowshipped with God. Instead Adam and Eve sinned - through God's plan of Jesus as redeemer, man has the opportunity to be a "child of God", co-heir to heaven, and live together with Him in a much more glorified state. A result that is much better than simply being eternal caretaker's of a planet. Even a "perfect" planet. Ex.#2: "Israel's rejection of Christ". 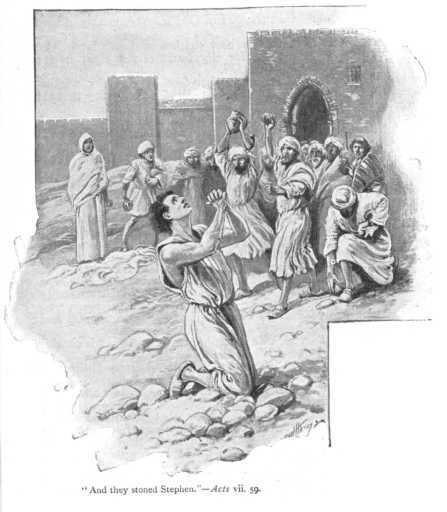 Forgetting prophecy for the moment - if they had not rejected Christ all indications are that Jesus would still have to shed his blood to redeem mankind (Rome could have crucified Jesus on their own without Temple Priests help), but He would have arisen to come back and pass judgment, fulfill covenants with Israel, and usher in the new era for the "chosen people" and the few select Gentiles that had "believed IN Him". 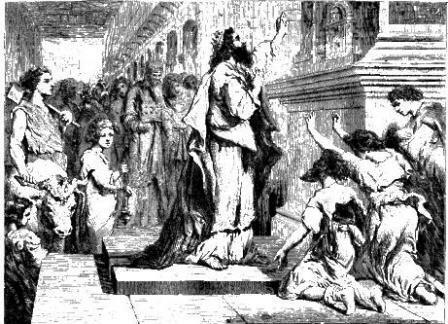 Instead - Israel (the nation) rejected Christ. Through God's plan the offering of Jesus Christ as redeemer went out to the whole world (Gentiles). By the delay in Jesus' return, more people are able to become "saved" that will increase the population (glory) of heaven. In the end, Jew and Gentile will be united in One Body with Christ as it's head (figurative language). All to the greater glory of God. Even more so, because God through His prophets said how it would all unfold. Evidencing His truthfulness and omniscience. Previously I have posted that without events unfolding as they have - grace, mercy, justice, righteousness, the total eradication of evil would not be in evuidence. Because the above things are in evidence or will be - it glorifies God. In the first paragraph - Satan has no excuse. He rebelled having full and perfect knowledge of God. Adam and Eve did not have perfect knowledge, but they knew God and were perfect as far as "humans" go. They also had a one shot deal. I say this, because if you look at the other three examples of Pharoah, Judas, and Nation of Israel: they were all given plenty of chances to choose differently. God showed great patience in His plan. Yes, God knew how they would ultimately choose/decide their individual situations - but it was not for lack of opportuinities. It was because their heart was not right with God - despite revelations or signs and wonders. Revelations, signs and wonders do nothing if one is not "oriented" or "turned toward" the Lord. Any hardening of the hearts or blindess to facts, came after several (many) opportunities had passed the respective person(s) "plate". Kind of like, if someone continually rejects Christ their heart becomes so hardened that their is a "point of no going back". The end result being a stregthening of the "position" the person(s) had already taken (or pre-disposed to) on their scenario. Not sure if that makes sense?????? Going through the part of this book (Solomon) at this time has me sad and I am not sure why. The splendor of Solomon’s temple, the First Temple, I can see in my mind’s eye. I can imagine the power and majesty of the prayer Solomon prayed and I can see the throngs of people gathered in Jerusalem both for the dedication of the Temple and the Festival of Succoth, yet I am sad. Maybe because I know how this will all end and Israel will enter into a civil war and divide into two. I know that both Kingdoms will be captured and taken into exile, yet restoration will come, at least for the Southern Kingdom. I know that full restoration will come at the end of the age, Jesus’ Second Advent. So why do I fell like this? I think I am sad because I know that I am as part of “Spiritual Israel” setting myself up to repeat the “sins” of the past despite having a written example of what not to do in these daily readings. It is only the mercy of God, the grace of God that keeps me, us, an unfaithful people, in the arms of God. 7: 51"You stubborn people! You are heathen at heart and deaf to the truth. Must you forever resist the Holy Spirit? But your ancestors did, and so do you! Holy Father, prompt me, speak to me, warn me when I stray from your truth. No matter how many sacrifices I offer, if my heart is not set on you I’m just having a barbeque. Help me to keep my eyes on you and you alone. May my heart and ears always have eyes to see and ears to hear your Truth. In Jesus’ name, Amen. I love the imagery of a plow going over someone’s back representing persecution, yet not mortally wounding them. All of us proclaiming Jesus as our Lord and Savior have deep furrows on our backs from the plowman trying to plow us under. O, but for God, our deliverer our redeemer, he not only keeps us alive but also brings us to a place of victory so we can celebrate. We are blessed by the Lord and to all those experiencing persecution because you call on the name of the Lord, remember a Diamond is brilliant because of tons of unending pressure squeezing radiance into an imperfect and corruptible body in the dark places of the earth. Shine forth folks! 1 A dry crust eaten in peace is better than a great feast with strife. I went on vacation for a week with someone who had beautiful, spacious accommodations. Although I was taken aback that they would allow me to accompany them, I accepted because, “I won’t have to spend money on a hotel room.” Boy was that a bad move. I thought about this Proverb a lot while I stayed in luxurious accommodations. The price (free) was not worth the cost. In light of Saul's permission giving to kill Stephen, no wonder Paul wrote later in 1 Timothy 1:15-16 that "Christ Jesus came into the world to save sinners of whom I am the worst." I suspect Paul NEVER got over what he did although he was the champion of grace. He reminds me of John Newton the converted slave trader and composer of Amazing Grace hymn. In later life Newton said, "Of two things I am certain, Christ is a great Saviour and I am a great sinner." I think Newton must have known the story of Paul and the grace of God. "What verses or insights stand out to you in today's readings?" "As the priests came out of the inner sanctuary, a cloud filled the Temple of the LORD. The priests could not continue their work because the glorious presence of the LORD filled the Temple." I love this verse. 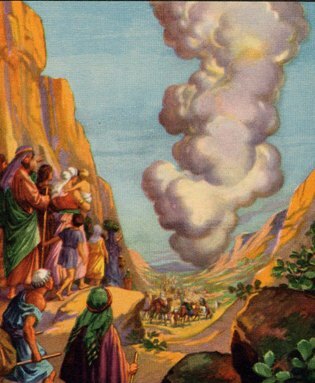 It is fascinating to think how it must have been when all Israel saw that cloud entering the Holy Temple. That cloud was a confirmation from God that He was pleased. Even though we do not see clouds today that enter our churches we are the ones that believe without having seen and for this we are blessed. God is a merciful God who manifests himself in our lives each and every day. If it were not for Him we would not have the sky or the air to breath, etc...etc... and there would no life. For He is the maker of life and everything that exists, exists because of Him. "Through him all things were made; without him nothing was made that has been made. In him was life, and that life was the light of men. "